Here's a news flash: In terms of improving home energy performance, wall insulation may be the least of your worries. That's not because wall insulation isn't important —it is— but most homes already have insulated walls. During a home energy audit, Dr. Energy Saver Solutions, A Service of DBS will be able to inspect and assess home insulation levels. If wall insulation is missing or inadequate, there are several options available to remedy this problem. We install foam wall insulation, rigid foam insulation, blow-in wall insulation and more. We can also help with insulating your attic, basement, garage and crawl space. We are Greater Duluth, MN and Superior, WI Area's expert home insulation contractor! We are your resource for reducing your home energy costs and improving home comfort. We offer Free Estimates for wall insulation in Two Harbors, Nisswa, Saginaw, Duluth, Esko, Superior, Grand Rapids, and other like cities such as International Falls, Cloquet, South Range, Carlton, Bovey, Cohasset, Moose Lake, Hibbing, Ashland, and more. It's tricky to insulate finished walls because it's more difficult to get insulation inside the wall, in the cavities between studs. Walls are easy to insulate when the studs are still visible, before wallboard or other finished wall material is installed. One technique for insulating finished walls involves drilling access holes near the top of the wall, and blowing cellulose insulation into empty stud cavities. In addition to insulating the outside walls of your home, we can also install basement wall insulation, attic wall insulation and more. Dr. Energy Saver Solutions, A Service of DBS can assess insulation levels throughout your house and recommend insulation upgrades that will significantly improve home energy efficiency. 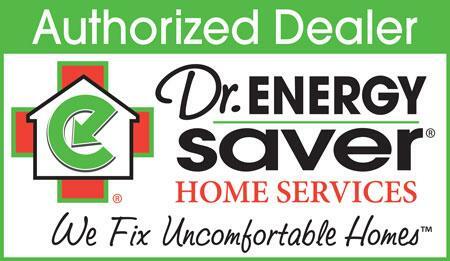 Dr. Energy Saver Solutions, A Service of DBS will then complete the improvements you select. The two common problems with fiberglass wall insulation: voids where insulation is missing, and insulation that’s compressed because of electrical wires. Voids in wall insulation waste energy, but we can eliminate them. Air sealing is the first step. Whether or not the exterior walls of your home are insulated, there's a very affordable way to improve their energy performance along with your comfort. If you can feel cold air coming into the house around electrical outlets and window trim on a cold winter day, your walls probably need to be air-sealed. This energy upgrade seals the many cracks, gaps, and holes where air leakage occurs. Find out if improved wall insulation is in your prescription for energy savings. Contact Dr. Energy Saver Solutions, A Service of DBS today to schedule a free insulation inspection and insulation upgrade estimate for spray foam insulation, rigid foam, radiant barrier and more! Get a more comfortable home today! Schedule a wall insulation quote and meet with our experts. Call 1-855-580-2907 or contact us online to schedule a free spray foam insulation estimate in Saginaw, Grand Rapids, Esko, Two Harbors, Nisswa, Duluth, Superior, Cloquet, Ashland, International Falls, Moose Lake, Bovey, Hibbing, Cohasset, Carlton, South Range, and other neighboring areas.